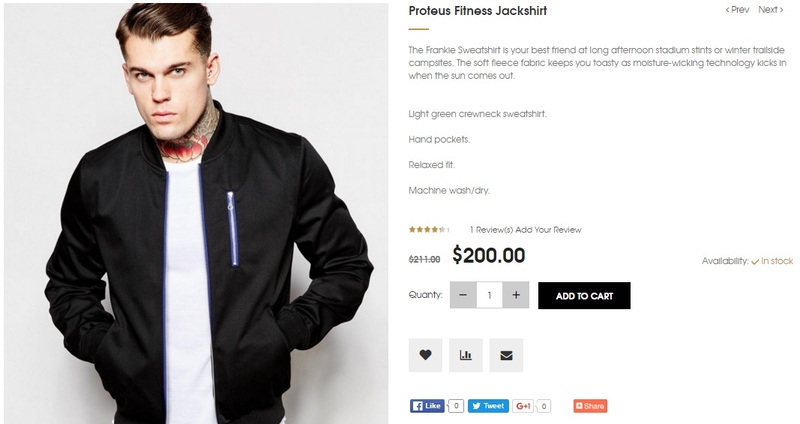 Being a premium Magento 2 theme, Hermes is fully responsive and highly customizable. Since the template offers a wide variety of admin settings you can seamlessly deploy it in accordance with your business needs. Hermes is suitable for every store type, so it is good for both jewellery and toys, fashion and sports, building materials and handmade goods. Besides, it supports all modern SEO standards, is fully responsive and highly adjustable. Let’s look at core elements of the Hermes Magento 2 theme: product and category pages, cart, and checkout. 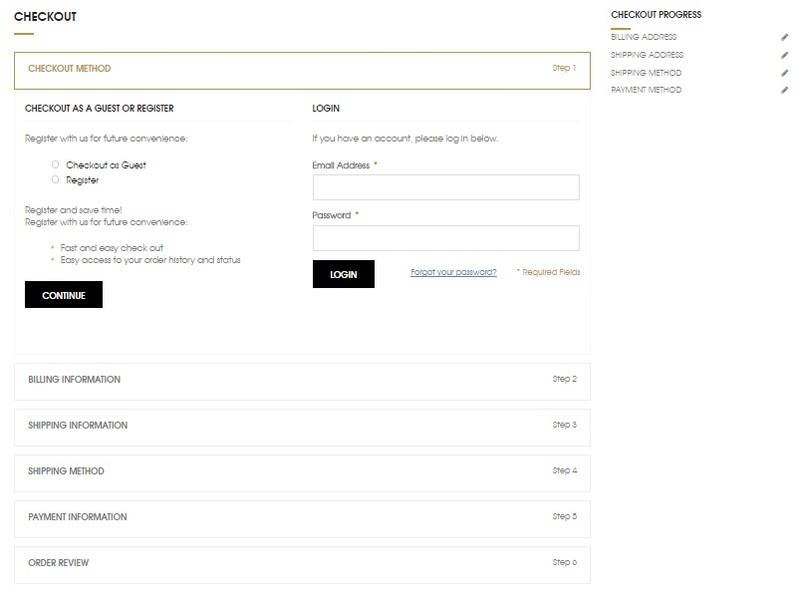 As for an ordinary product page available with Hermes, it contains almost all necessary elements: product name, its description, availability, price, photos, add to cart button, change quantity, various social and other buttons. But the following page does not let customers choose size. An average category page of Hermes looks quite impressive. It has a price slider and several other convenient filters, so your customers can easily search certain manufacturers, colours, and size options. It is also necessary to mention that there is a quick view screen available for every item. Besides, your clients can easily change the number of goods and their position on a page. Still no ideas on how to choose size. But it is still possible to change quantity. Besides, your customers can estimate shipping and taxes, apply discount codes, and proceed to checkout. 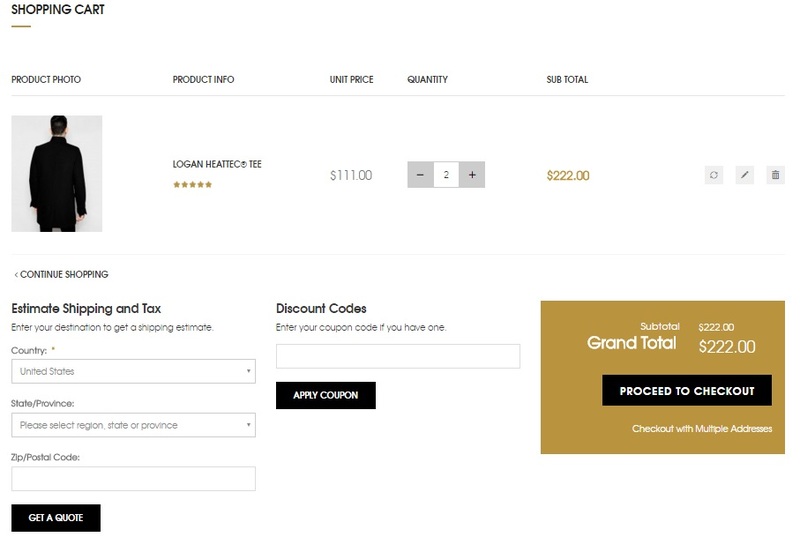 Although it is not a one step checkout, the checkout page is very compact. Customers should fill in required data of each step to see the next one. On the right side of the page, there is a checkout progress block that shows what steps are already finished. In addition to the aforementioned responsive design, we should mention that Hermes supports the following adaptive screen solutions: 1200px, 992px, and even lower than 768px. As for powerful theme settings, this Magento 2 template incorporates the Blue Sky framework that enables you to change fonts, colors, and other design elements. 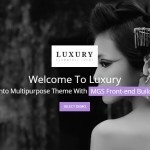 And due to a smart mega menu, you will get a great chance to leverage the power of multiple columns with ease. Another important aspect available with the Hermes Magento 2 theme is AJAX layered navigation. Consequently, your customers can rapidly find what they are looking for. If you are wondering how much does this feature costs apart from the Magento 2 theme, it’s price starts from $79, but it is included into Hermes for free. The same is about New Products Slider ($49), Featured Products ($49) , Categories Products ($49), and Revolution Slider ($49). 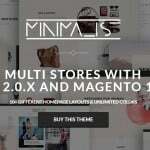 All four extensions are available for free, if you purchase the Hermes Magento 2 theme. Another extension that is bundled into the template is Moo-Cloudzoom. It is a very convenient solution designed to zoom product images. Last but not least, we’d like to note that the Hermes Magento 2 theme provides the ability to customize the number of products displayed per row. 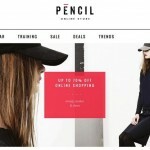 Blog module for advanced ecommerce. Although the Hermes Magento 2 theme is a relatively new solution, it already offers all features necessary for a modern ecommerce website. And you can purchase the template for $84 only.